All the impressive features of the original, but now with a rechargeable battery. 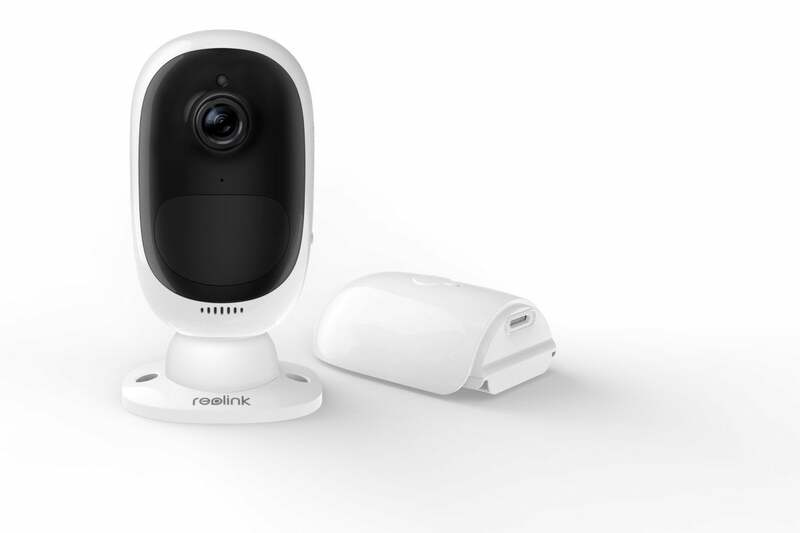 Reolink’s Argus filled a much-needed niche in the home security camera market: a truly wireless camera that pared down features to just the essentials for a modest price. We loved it. But we love the Argus 2 even more. Obviously knowing it has a winner, Reolink has left most of the original Argus intact. The Argus 2 retains its predecessor’s white capsule-shaped enclosure and its impressive specs: a 130-degree field of view, 1080p resolution, night vision up to 33 feet, motion detection, and two-way audio. 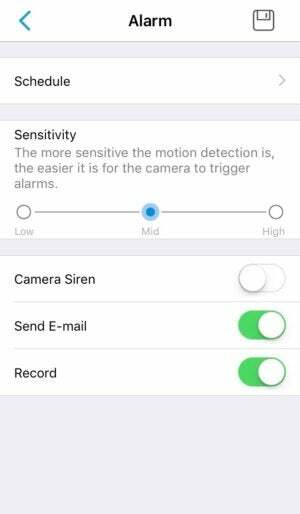 It also keeps the IP65 ingress protection rating, meaning neither harmful dust nor projected jets of water can get in and damage the camera. Some changes were made to improve the camera’s operation, though. One of the most significant was replacing the original Argus’ four non-rechargeable CR123A batteries with a 63V, rechargeable lithium battery. This allows you to charge the camera directly from an AC outlet, or, if you’re using it outside, provide continuous power by connecting it to Reolink’s Solar Panel—an accessory designed specifically for the Argus 2 and sold separately for $30. The new battery accounts for the camera's bump in price, but it's worth it. The Argus 2 adds a much more convenient rechargeable battery. Reolink claims you’ll get the same four to six months of power per charge as the original Argus—although the actual battery life will depend on your usage—and the camera will push a notification to your mobile device when the battery is low. Beyond that, Reolink has kept the the feature set spare. Advanced features such asgeofencing, motion-detection zones, and smart-home integration are still absent. And the Argus 2 still records video locally to a microSD card (up to 64GB), which eliminates the added expense of a cloud storage subscription, but could also leave forensic evidence vulnerable to damage or theft. How simple of a setup you can expect really depends on whether you’re going to use the Argus 2 as an indoor or outdoor camera. Inside your home, all you really need to do it is set it on a table, shelf, or other flat surface. The camera attaches magnetically to its stand. Together they work like a ball-and-socket joint, allowing for fluid angling. The stand doubles as a wall mount, though, and the box includes some drywall anchors with the screw set so you can mount the Argus 2 to a wall or ceiling if you’d prefer. 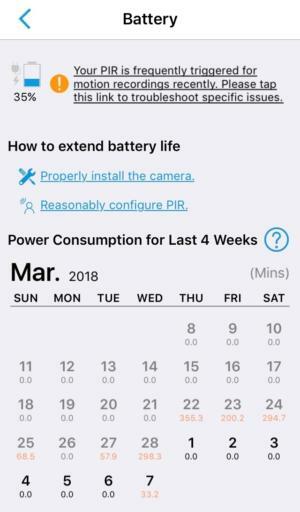 The Reolink app provides data on the Argus 2's battery life and how to improve it. If you’re going to use it outdoors, you’re advised to use the included security mount which locks to the camera to prevent easy theft. The provided screws easily penetrated wood without any drilling. Reolink also includes a rubber weatherproof skin you can slip over the Argus 2 for extra protection; just make sure to put it on before you attach the camera to the security mount. If you also purchase the solar panel for a continuous charge, you’ll need to mount that separately and connect it to the Argus via a micro-USB power cord included with the panel. 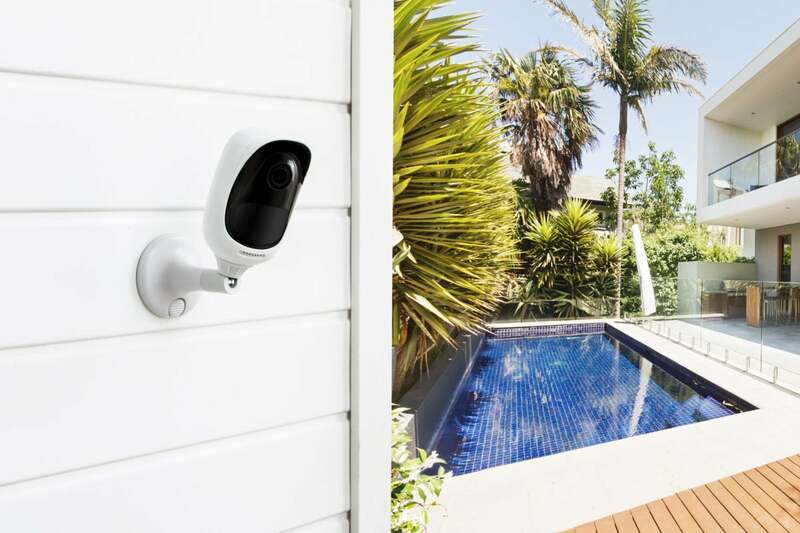 Connecting the camera to your network—which you should do before mounting it—is a painless process of scanning a QR code on the Argus 2’s body and following some prompts to log in to your Wi-Fi. Once it’s connected, the app will ask you to synchronize the Argus 2 with your phone’s date and time, and then you can access the the camera’s live feed. The Reolink app has gotten a fresh look since we used it with the original Argus, but it’s still very easy to use. The camera’s home screen includes a slate of controls for managing the live feed, including a play/pause button, resolution toggle, and two-way talk button. A playback button gives you access to your recorded clips. You can adjust the sensitivity of the Argus 2's PIR sensor for more accurate motion detection. Nested in the Device Settings menu are an array of tools for customizing the Argus 2’s functionality. 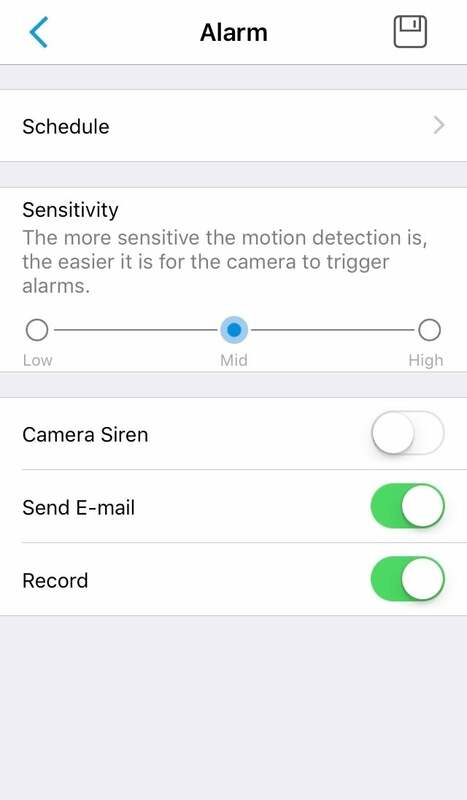 The ones you’ll probably access most frequently are the display settings, where you can change the display’s orientation and adjust the anti-flicker setting, and the PIR sensor settings, where you can adjust the motion detection sensitivity and choose how you want to be alerted to detected activity, and whether you want Argus 2 to automatically record video when motion is detected. The Reolink app also provides useful data on the Argus 2’s battery life. 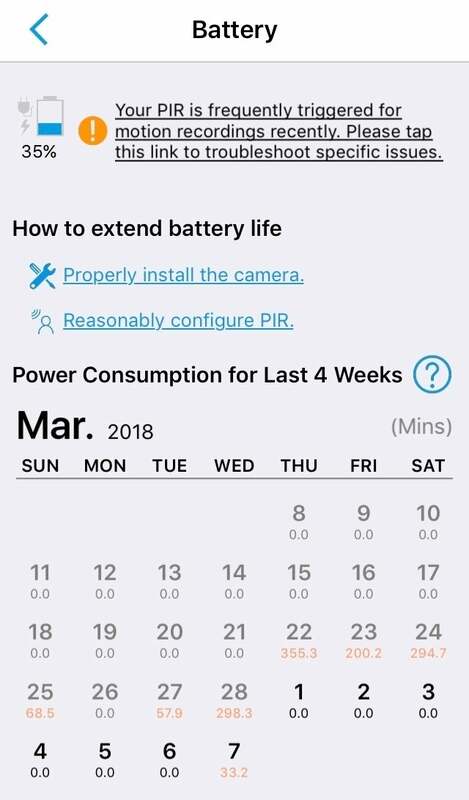 It displays the camera’s power consumption for the last four weeks, and provides tips on how to extend battery life. At one point, it even told me that the battery was being drained by too-frequent PIR-sensor triggers, and provided a link to troubleshoot specific issues. Streaming video was at least as good as on the original Argus. In fact, the Argus 2 gave me none of the stuttering problems I encountered with its predecessor when I moved it farther away from my router. Motion detection was spot on, thanks no doubt to the PIR sensor, which is only triggered by the heat energy emitted by living bodies. The Argus 2 improves on the original Argus in all the right ways. Even original-Argus owners might want to consider upgrading for the rechargeable battery and solar panel option. The same caveat I noted with the first Argus applies here, though. This is a great camera for those who prize simplicity and wireless freedom over advanced features like location-based arming, smart-home integration, or 3G connectivity. If you desire something more full-featured, the Netgear Arlo Pro 2 might be more your speed. The Argus 2 is a fantastic option if you want just the security essentials with an easy setup and an affordable price.